You can now sign up for the long list of special events available during the 15th Annual Epcot International Food & Wine Festival. By calling 407-WDW-Fest (939-3378) you can make reservations and secure your spot in some of these very popular events. 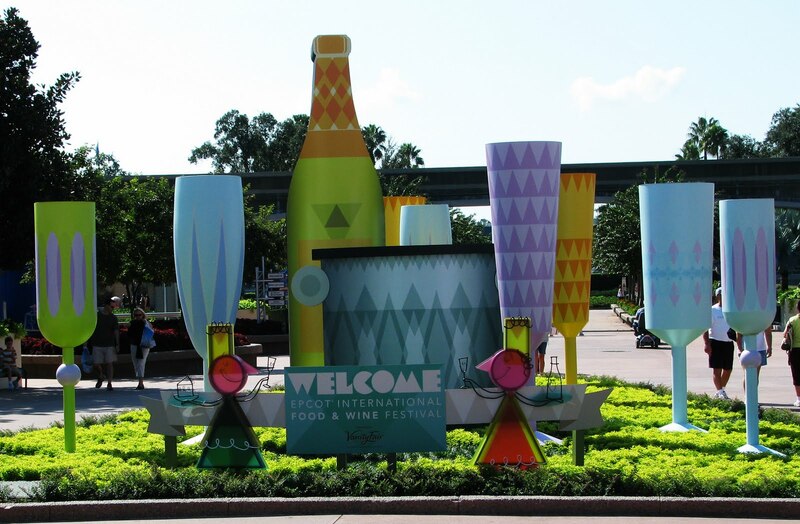 Each year the Epcot International Food & Wine Festival is home to a number of special events that go above and beyond the normal activities. These include special parties, themed meals by expert chefs, Wine Tastings, Wine and Food Pairings, Dining Experiences, and other events. An opening reception in the Festival Welcome Center featuring epicurean samplings from the International Marketplaces, Wine Seminars, Culinary Demonstrations, merchandise locations, celebrities and entertainment. This is truly a sneak peek of the Festival before it is officially open to the public. Date: Thursday, September 30th, 2010, from 6:30 p.m.– 9:00 p.m.
Price: $195.00 USD per person, plus tax. Gratuity included. Theme park admission is required. Price: $45.00 USD per person, plus tax. Gratuity included. Theme park admission is required. Come taste authentic Mexican tequila and learn about the history and traditions around its production from a true Tequila Master. This unique location offers appetizer samplings of ceviche and tostada as guests embark on their tequila flight. *Available dates are limited. Dates: Fridays, Saturdays and Sundays at 12:00 p.m. – 1:00 p.m. These late afternoon sessions are great opportunities to discover a marriage of 3 regional wines with 3 tasting-size portions of cuisines from select Epcot restaurants. A wine representative will host each session and the themes will vary according to location. Featured wineries and menu selections change daily. Price: $65.00 USD per person, plus tax. Gratuity included. Theme park admission is required. Learn about cheese from expert "fromagers" from the Artisanal Premium Cheese Center in New York City and other cheese industry professionals. The featured cheese will be paired with selected wines–introduced by a knowledgeable wine representative. Price: $75.00 USD per person, plus tax. Gratuity included. Theme park admission is required. Enjoy this fabulous, comprehensive program facilitated by a prestigious wine authority. This afternoon session engages the flavors and traditions of distinctive wine cultures, teaches how to taste several regional wines, and concludes with a celebratory reception and certificate of completion. Dates: Saturdays, 1:00 p.m. — 3:00 p.m. Class; 3:00 p.m. — 4:00 p.m. Light Reception at Wonders Retreat. 10/2 — Jon Bolta, Winemaker for Conundrum Wines "Conundrum Building Seminar, Conundrum Wines California"
10/9 — Robin Back, Proprietor of Fairview Wines "Variety is in our Nature South Africa's Unique Terroir"
10/16 — Andrea Robinson, Master Sommelier "Explore the Alluring and Mysterious Great Pinot Noir Regions"
10/23 — Sharron McCarthy, President of the Society of Wine Educators "Under the Tuscan Sun Tantalizing Tuscany"
11/13 — Evan Goldstein, Master Sommelier "Argentina 'en fuego'- Discover the Excitement Around this Amazing South American Jewel"
Price: $125.00 USD per person, plus tax. Gratuity included. Theme park admission is required. A highly-acclaimed pastry chef or baker demonstrates 3 signature desserts... and serves them! Each event includes a warm and intimate breakfast buffet complete with sparkling wines. Price: $85.00 USD per person, plus tax. Gratuity included. Theme park admission is required. Discover the cuisine and wine that characterizes a different region in France on selected Fridays and Sundays. Lunch will be prepared by chefs from the Bistro de Paris at the France Pavilion at Epcot. Wines will also be presented by a visiting winery principle. Price: $95.00 USD per person, plus tax. Gratuity included. Theme park admission is required. This enchanting 3-course lunch celebrates the joys of preparing a meal with family and friends. The hosts will engage attendees and demonstrate how to prepare an appetizer, main course and dessert. A notable winery representative will also be on hand to pair each course with a selection from their premium wines. Price: $110.00 USD-140.00 USD per person, plus tax. Gratuity included. Theme park admission is required. The weekly Party For The Senses grand tasting event showcases tempting bites from eminent chefs from around the country as well as the finest Disney chefs. Start your evening off with confirmed seating to the Eat To The Beat concert series at the America Gardens Theater. Then head over to World Showplace for this grand culinary event! Wander among tantalizing food and beverage in the midst of imaginative decor and awe-inspiring acts from La Nouba™ by Cirque du Soleil®. Dates: Saturdays 6:30 p.m. — 9:00 p.m. at the World ShowPlace Pavilion (Wine View Lounge: 6:15 p.m. — 9:00 p.m.
Price: $135.00 USD per person, plus tax. Gratuity included. Theme park admission is required. Wine View Lounge access is $90.00 USD per person, plus tax (in addition to admission for Party for the Senses.). Gratuity included. A highly acclaimed chef collaborates with the resident chef of a top Disney restaurant to create a truly magical and memorable meal. A representative from one or more hosting wineries will present accompanying wines for each dinner. Select days at select venues at the Walt Disney World Resort (see below). Price: $125.00 USD-$450.00 USD per person, plus tax. Gratuity included. Theme park admission is not required. 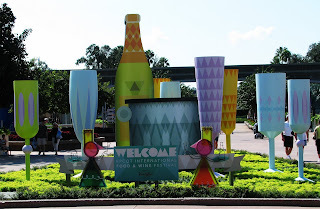 0 comments to "Epcot 15th Annual International Food & Wine Festival Special Events"